Americana at Brand opened its doors on May 2, 2008. It became one of the largest outdoor shopping community in Glendale, CA. The property was build and is owned and operated by Los Angeles businessman Rick J. Caruso and his company, Caruso Affiliated. Americana at Brand hosts internationally acclaimed shops such as Apple, BCBG, Tiffany and Co., Barnes and Noble, Juicy Couture, Armani Exchange and Calvin Klein. Aside from a shopping center, the Americana at Brand also includes 100 condominiums and 238 apartments. Countless Los Angeles based celebrities are said to have condominiums here. 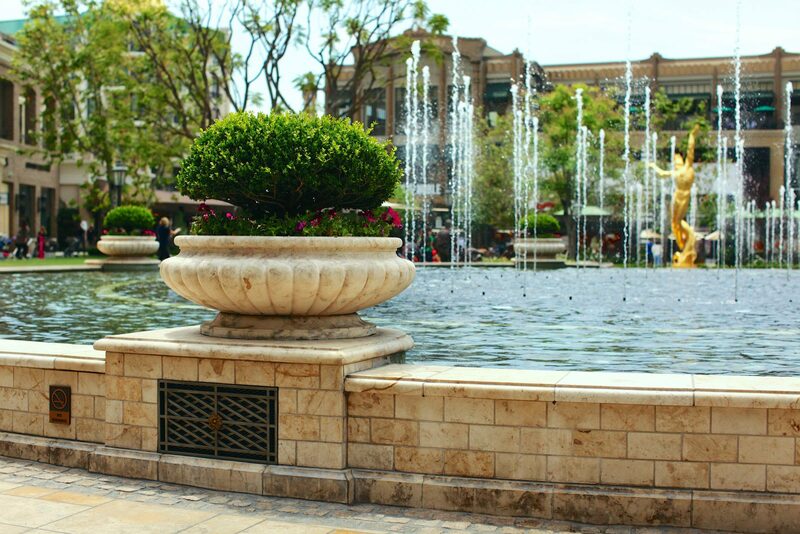 The Americana also boasts an amazing dancing fountain that visitors from all over come to visit and enjoy. This beautiful fountain plays music every hour to entertain people who are shopping, eating or merely walking around. Along the sides of the famous Americana dancing fountain, King Iron Works installed decorative grates to heighten the aesthetics and appeal of the fountain. King Iron Works was contacted to fabricate these grates before the Americana even opened in 2008. We are very honored to say that King Iron Works has contributed in part to the beautification of Glendale’s newest landmark addition.